Jiang wei is a very well kept young man, although he was not ever interested in having a family he easily could have with his good looks, he has long hair, but long enough that he keeps it held back in a ponytail. He has the symbol on his back near his shoulder. 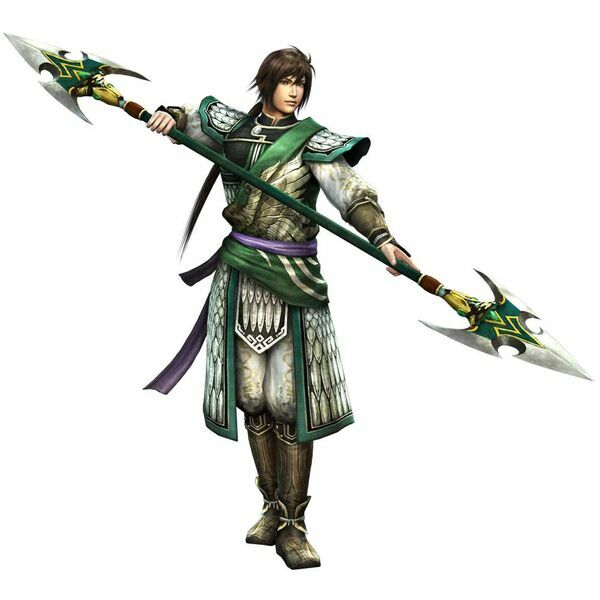 Personality: Jiang Wei is a very confident general and although he was put in as a student of the prime minister and was taught in the art of strategy he is really more gifted fighting on the battle field. He is conceided sometimes but is very friendly to the stronger officers, However he chooses friends carefully and if he doesnt like you he might never get along with you. he wont give up in a fight wich is both good and bad, his motto "I would rather Die then Retreat if it could mean victory"
Abilities: Wood. He can make everything out of wood. Can control the Trees. Trunks of trees grows and became a huge wall. It can be useful for trapping his enemies. Jiang was still a child when he learned this skill but its not that kind of skill he used now that can produce a massive damage against his foe. It has the ability to merge with plants and trees, it is also great reconnaissance missions. They have the ability to travel far distances from the user and are able to communicate with the original. The clones can be as simple in function as a wooden dummy. It was developed by Jiang Wei when he was appointed as a general by the prime minister. This technique lets the dragon summon a tree around their opponent to bind them. This technique is relatively powerful and holds opponents much more gracefully, with less of a strain on the user, because the user sinks them into the ground. Afterwards, the user can enclose the opponent so that their body implodes. The Azure Dragon quickly switch places with another nearby object, such as a plant (normally a section of a log), an animal, or even another person within reach using the Body Flicker Technique, the moment an attack hits. This creates an optical illusion, making the enemy think the attack was successful. The user can then use this confusion to escape or launch a counter-attack. Exploding tags can be attached to the replacement for an added surprise. Basically all ninja know this technique. Can Only be used when the user is in his animal form. Secret Ability: Can poison a person when it touches the person's body. Last for 2 posts. The Vapor was given to Jiang as gift from his Father, who was a great warrior when he was alive. Jiang wei began his life not thinking about war, he was born in 202AD however when his mother encouraged him to fight for his beliefs he joined Cao Wei. However his mother was captured by Zhuge Liang and he was eager to Switch Alliance. he then began to study under the prime minister. Now He's battling for survival. Jiang Wei is the son of a reputed general who excels in martial arts and scholarly studies. Originally an officer of Wei, his talents are noticed by Zhuge Liang and, impressed by the strategist's abilities, he joins Shu. He contributes greatly to Shu's later campaigns against Wei and Wu. 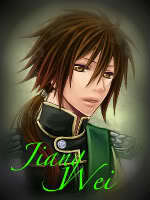 Jiang Wei starts his story as an officer in Wei. Since his father passed away when he was young, he spent his childhood being raised by his mother. For her sake, he joins the military but soon sees his talents unappreciated by his commanding officers. Though disappointed by Ma Zun's leadership, Jiang Wei takes part in the offensive against Zhuge Liang's army. During the battle, an impostor of Jiang Wei attacks the defending army, making Ma Zun doubt Jiang Wei's integrity and further forcing the youth to prove himself. Upon defeating the strategist, however, he grows to respect Zhuge Liang's faith in him and joins Shu. As his protege, he tries to prove his worth against Sima Yi's tactics. While Zhuge Liang is busy with preparing for the final battle of the Northern Campaign, Jiang Wei leads a decisive victory against Wu at Bai Di Castle. He continues to lead the Shu army after his mentor's passing, successfully unifying the land under Shu. He acts as Liu Chan's advisory after the battle, wielding Zhuge Liang's fan as a keepsake. He shares his Legend: Xtreme Legends with Zhuge Liang and Wei Yan at the Battle of Mt. Qi. During Shu's Northern Campaign, Zhuge Liang surprisingly orders a retreat from the mountain. In Jiang Wei's version of the stage, he assists the Prime Minister's strategy by luring the three advance troops towards the mountain. Once three Wei generals hold their positions, Shu's army feigns a retreat but Jiang Wei remains on the field. If he successfully hides his presence from Wei's scouts, the Shu army reappears on the field and launches an ambush from three points on the map. They can easily entice Zhang He forward and cause the general's demise. Should Jiang Wei be spotted, Sima Yi catches onto the ruse and the Shu army will need to issue a real retreat due to lack of supplies. Jiang Wei will then fight the entire Wei army by himself. Please lengthen your history, you're starting out great you just need to add on to it. Copied some ancient stories from the original Jiang Wei of China in the ending history^^.